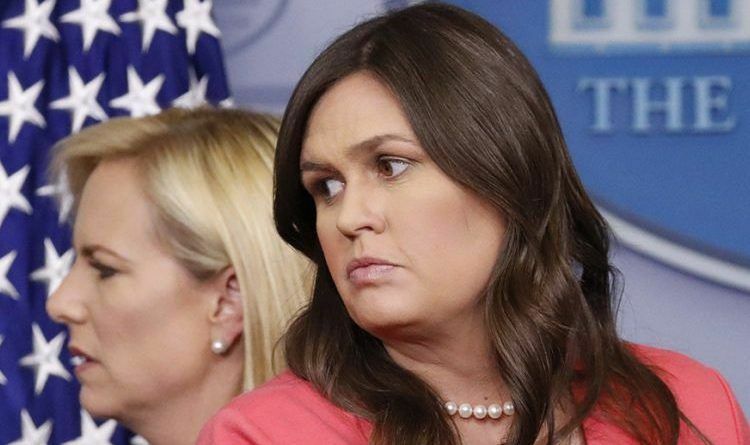 Sarah Huckabee-Sanders was bombarded with questions today about what is the White House stance about Laura Bush latest criticism on Trump’s immigration policy! Frankly, this law was actually signed into effect in 2008 under (Laura Bush’s) husband’s leadership, not under this administration,” Sanders said during Monday’s press briefing. Laura Bush complaining about a law her husband put in place! Talk about the use of the Alinsky rules for radicals; Laura must be taking classes from Hillary? I think the Bushes, Clintons and Obama are all related in that they solved not one problem but either kicked the proverbial can down the road or worsened them. President Trump is a problem solver and that scares Washington. Where would they be without the problems they created.